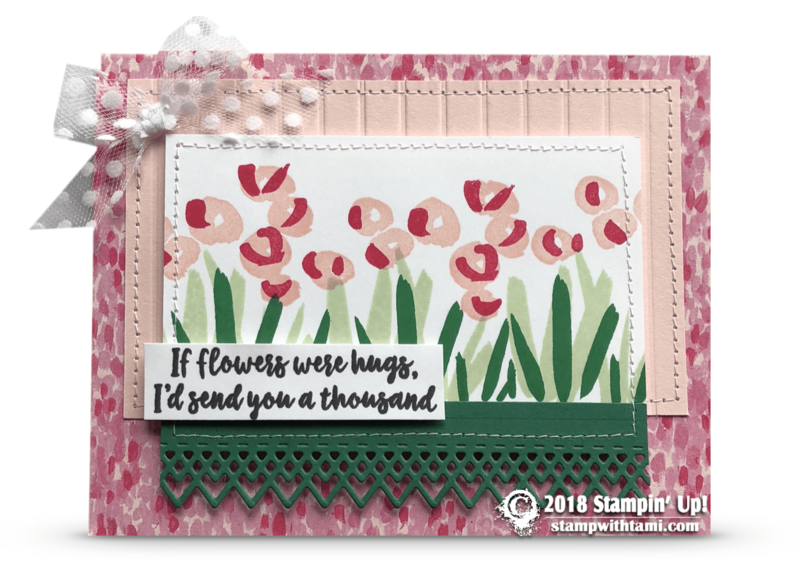 “If flowers were hugs, I’d send you a thousand” sympathy card from the Stampin’ Up Abstract Impressions stamp set and Garden Impressions Designer paper. The edging detail is cut from the Delicate Lace edgelits. Topped off with a bow from the Polka Dot Tulle Ribbon.